Description: , 1916. Ephemera. Very Good; 1916 Ladies Home Journal Page of Youngsters Going to School The Way They Do on the Pacific Coast. 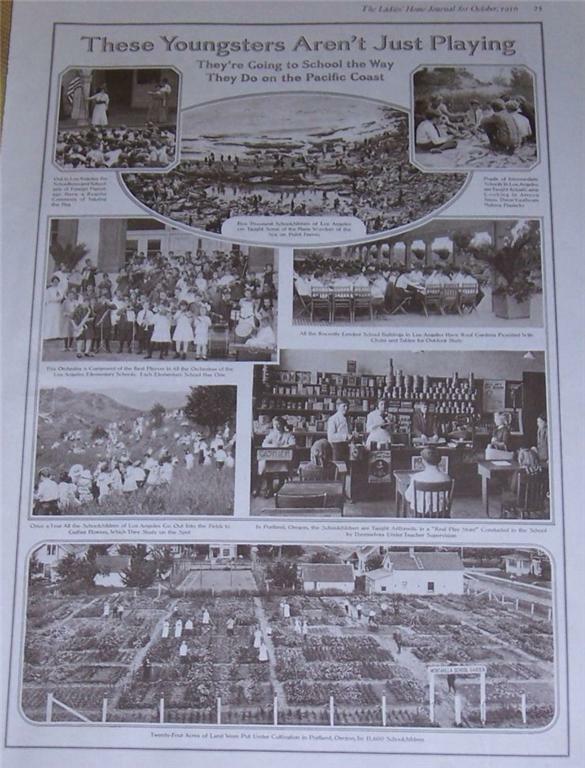 Page has Eight Photographs of School children in Los Angeles and Oregon in various learning experiences, including Camp Cooking, Orchestra, Real Play Store, Gardening and more. Page is 16" high and 10" wide. Very good condition, suitable for framing; Postcard.